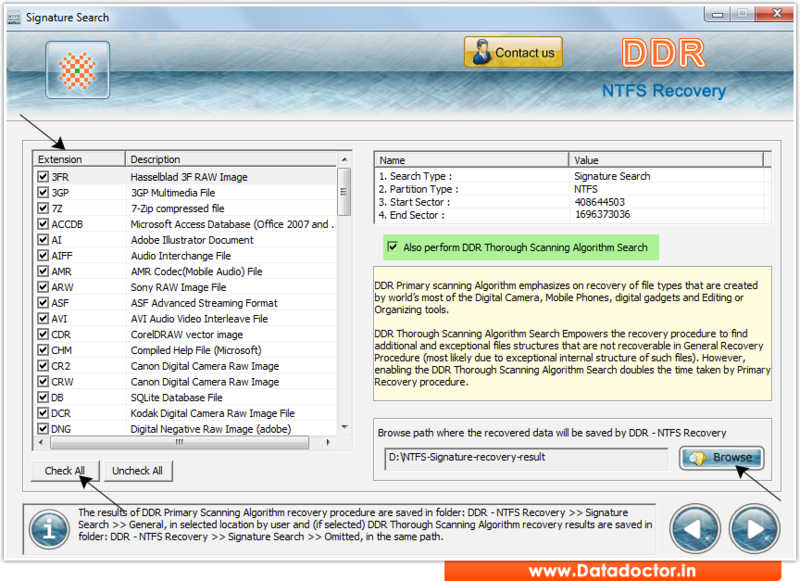 Press ‘Check All’ button to select all extensions then enable ‘Also Perform DDR Thorough Scanning Algorithm Search’ option to recover lost data. Press ‘Browse’ button to browse the path where you want to save recovered data. 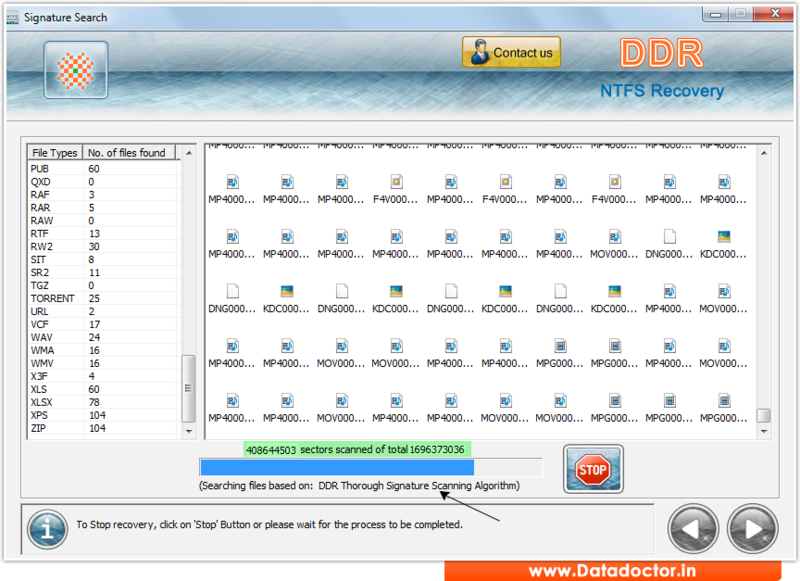 Currently performing scanning of disk within specified sectors using DDR Thorough Signature Scanning Algorithm.